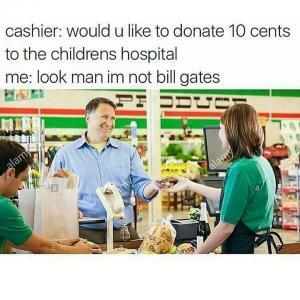 Cashier: would you like to donate $1 for sick kids? 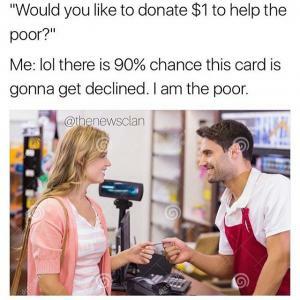 "Would you like to donate $1 to help the poor?" 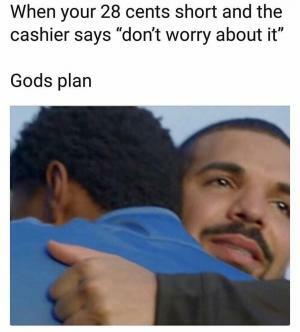 Me: lol there is 90% chance this card is gonna get declined. 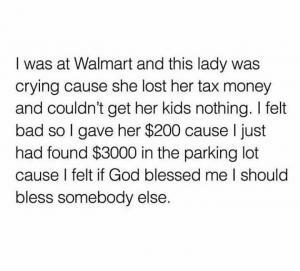 I am the poor. 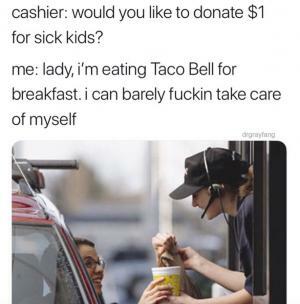 worker: would you like to donate $1 to help sick kids? 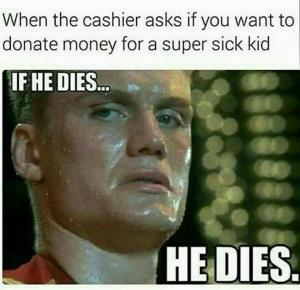 worker: would you like to donate $1 for sick kids? 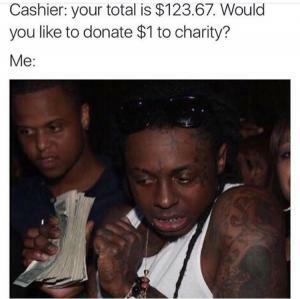 Cashier: Your total is $123.67. 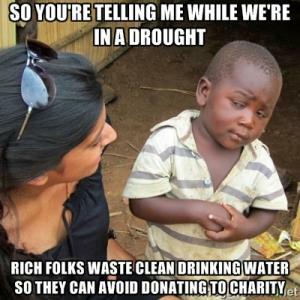 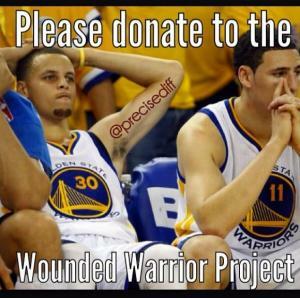 Would you like to donate $1 to charity? 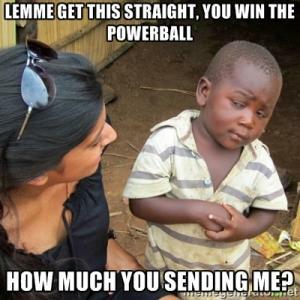 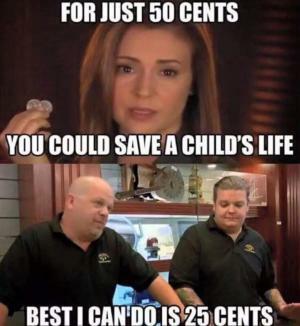 cashier: would you like to make a donation to help dying children and puppies in need..
How much money you sending me?